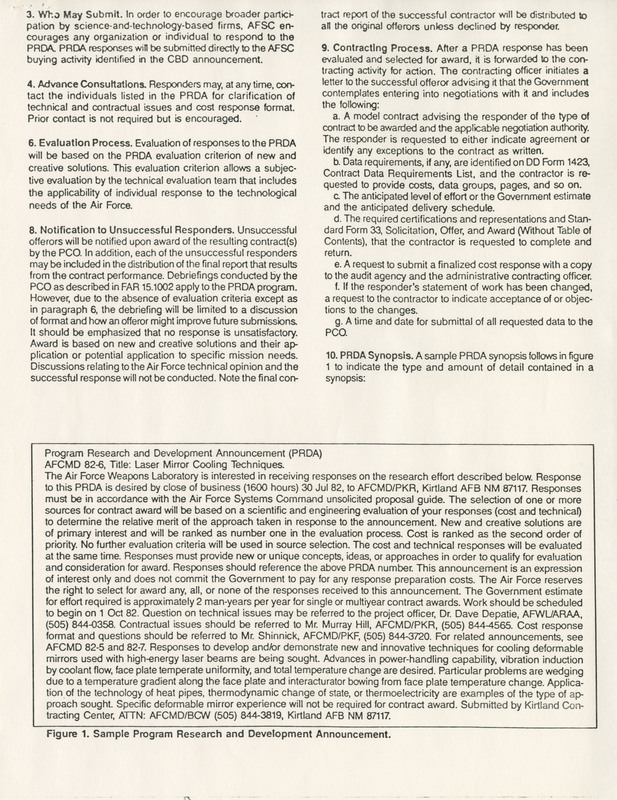 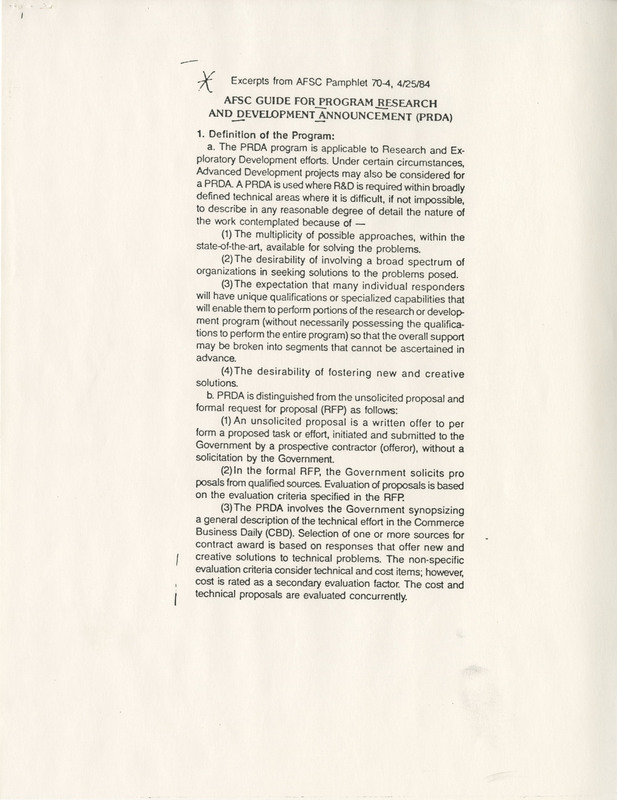 Is Part Of is exactly "Ms1989-029, Box 19, Folder 2"
Short handwritten note regarding "logistics", "PRDA", and "Andrulis". 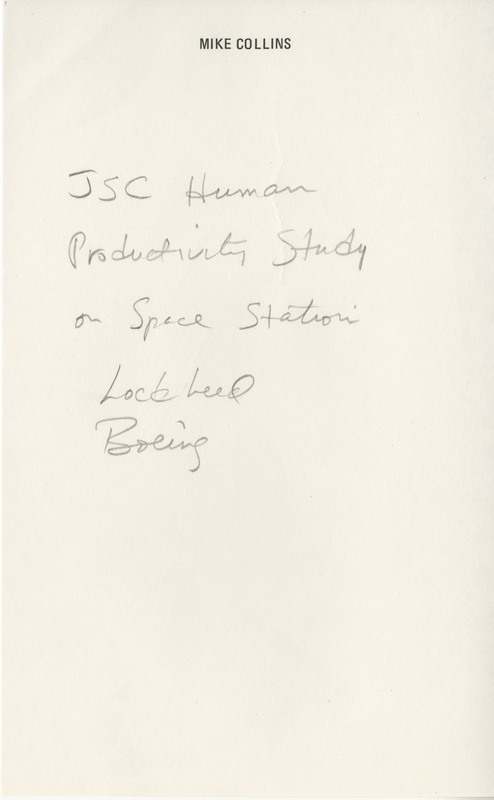 Short handwritten note from Michael Collins regarding a "JSC Human Productivity Study". 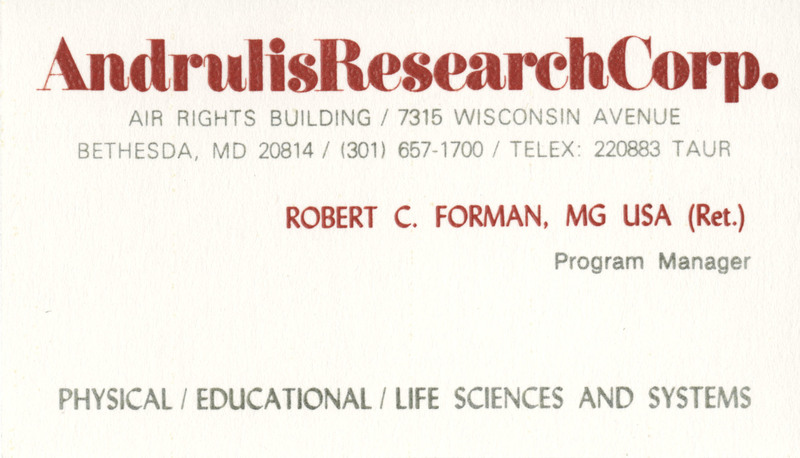 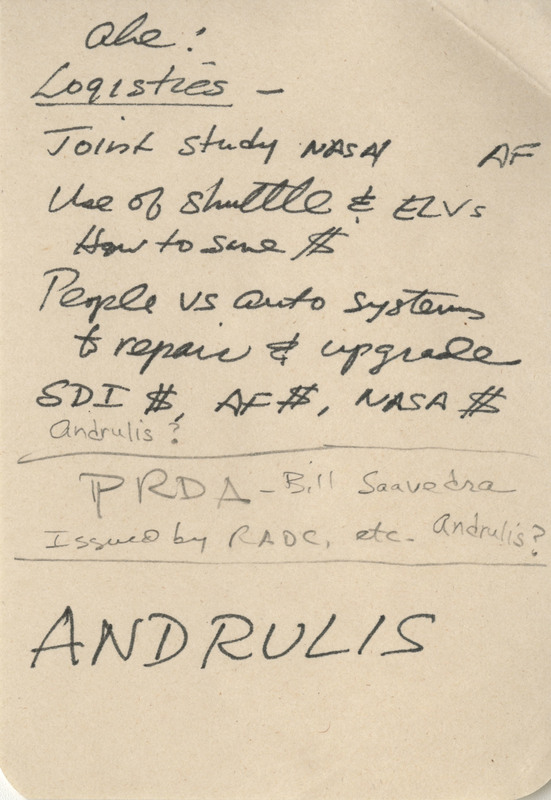 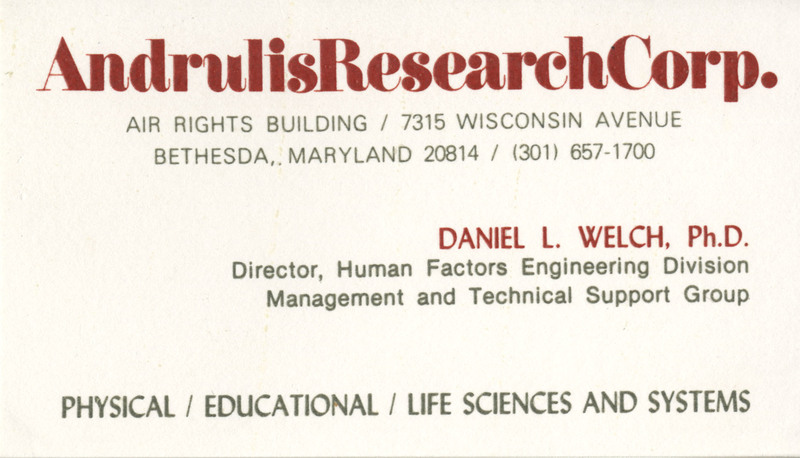 Handwritten notes regarding Andrulis Research Corp., various people and their positions. 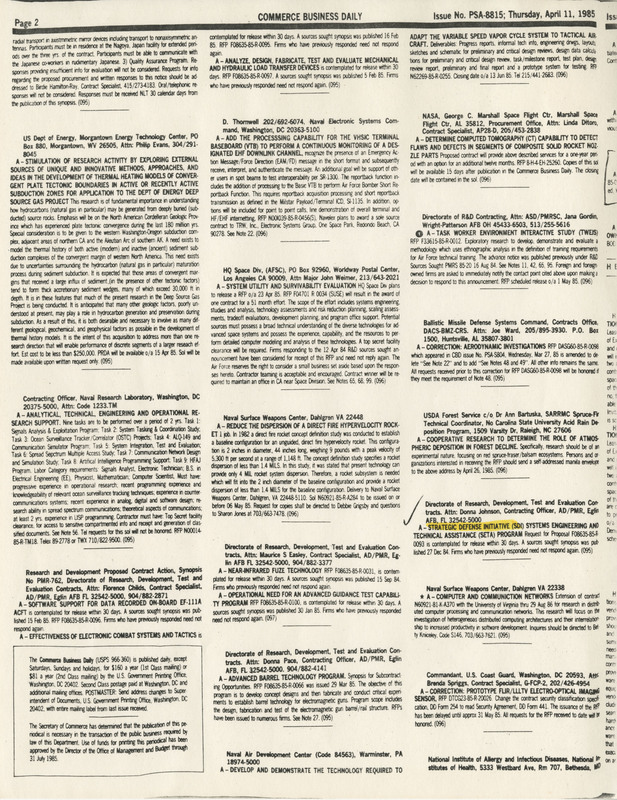 Pages 2 and 32 from the April 11, 1985 Commerce Business Daily. 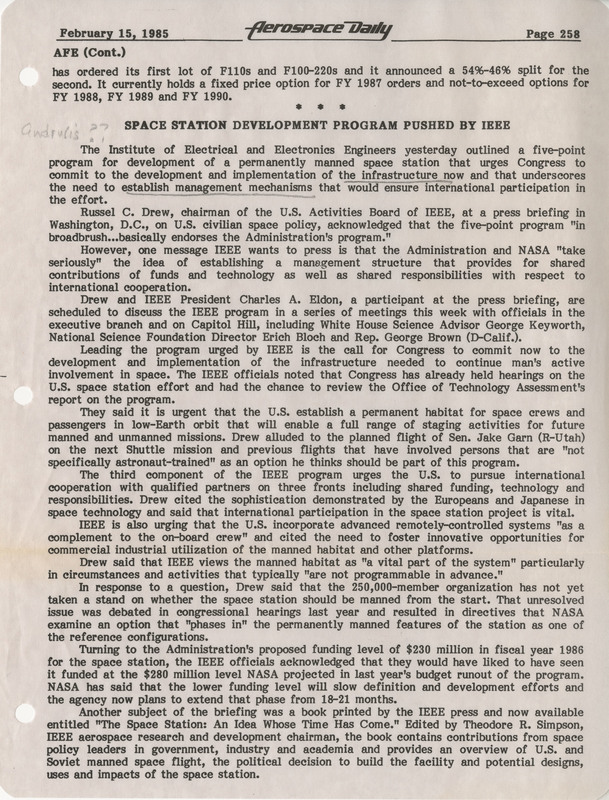 Page 258 from the February 1985 Aerospace Daily featuring the article "Space Station Development Program Pushed by IEEE. 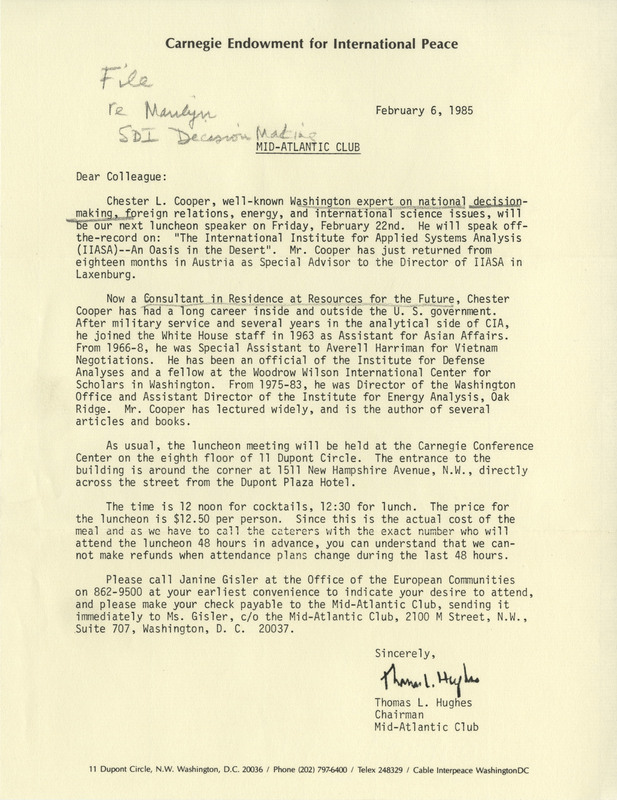 Letter from Thomas L. Hughes (Chairman, Mid-Atlantic Club) to "Colleague" providing the details for a luncheon with Chester L. Cooper. 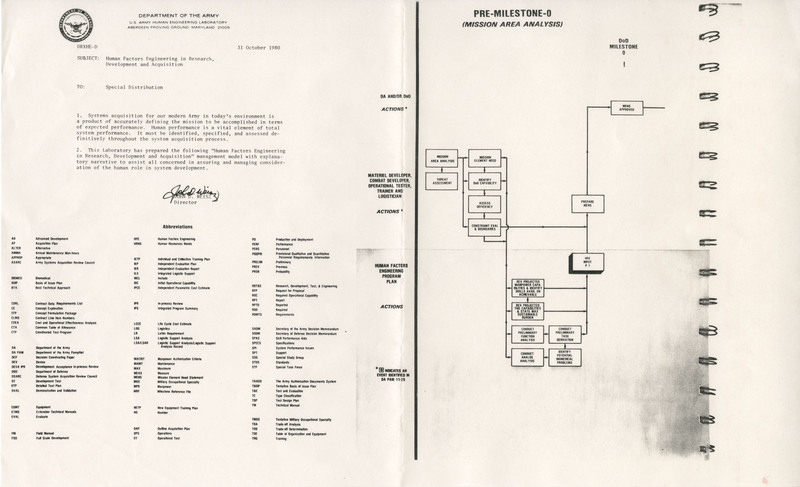 Small clipping for "RADC Opening Contracting For SDI Battle Management Communications". 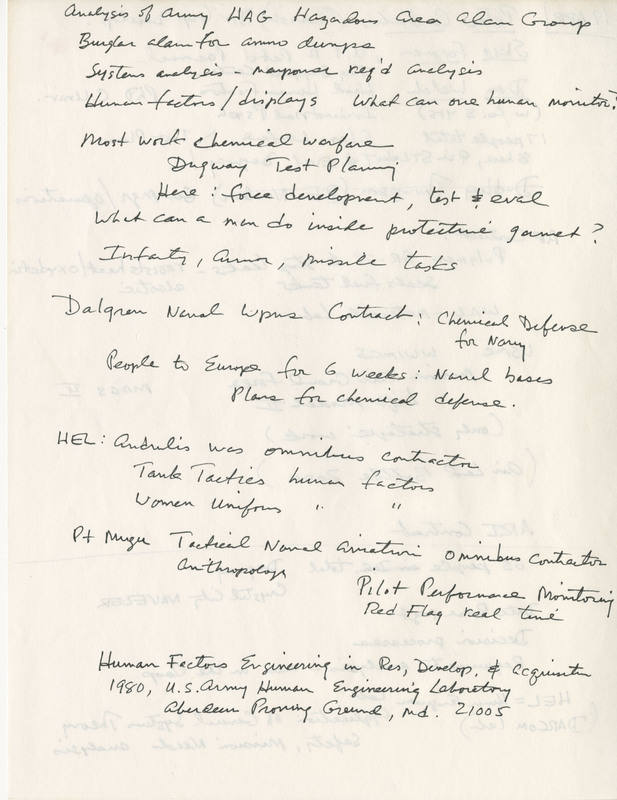 "Andulis" handwritten above article.